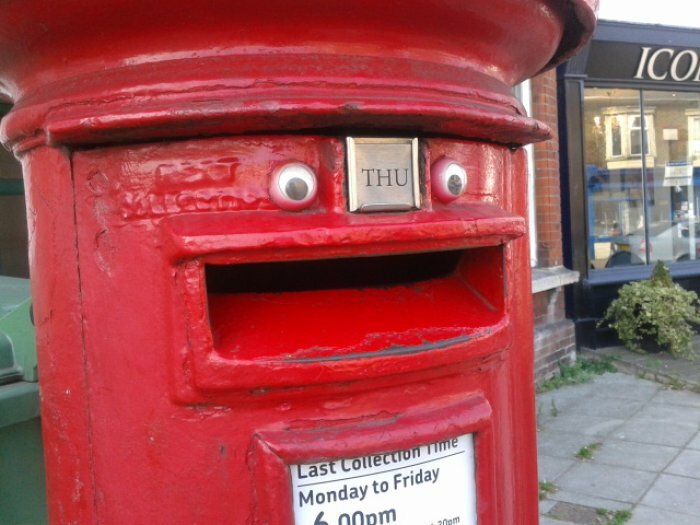 The Hilarious results of a Trendy new Hobby called EyeBombing. Found some eyebombs that are not in our list yet? Upload them in the comments section! 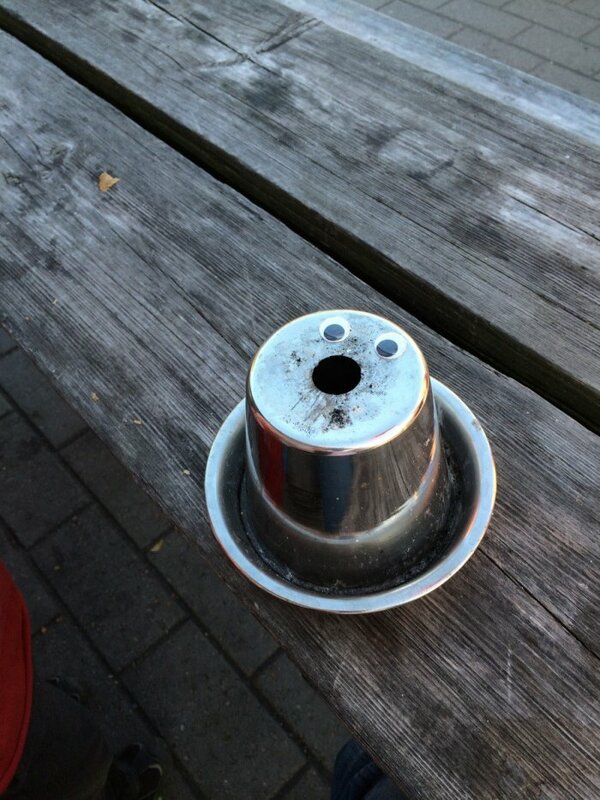 #2 - Looks like this ashtray pictured by redditor "AnbaRL" has had enough cigarettes for today. #3 - To understand the expression in this clever Eyebomb, you need to know the German to English translation from "Bitte Beruhren", which is "Please Touch". Hilarious! #4 - Just added some googly eyes and the transformation into a robot is perfect! 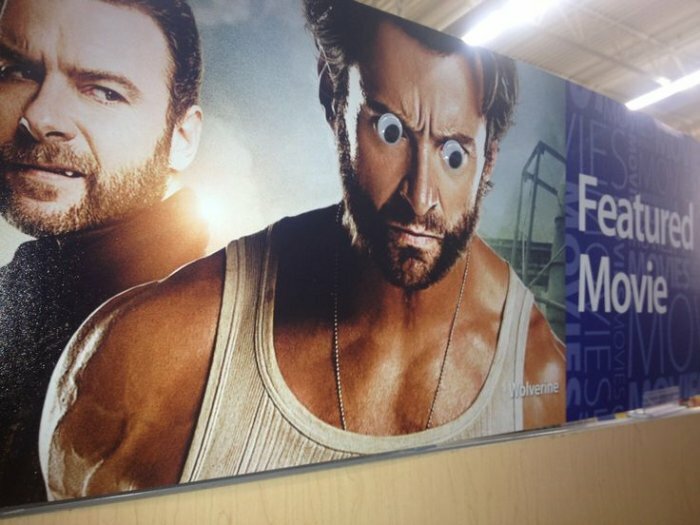 #5 - Pinned by Sharon Wayson to a Pinterest board about Googly eyes we can see that by enhancing movie posters with googly eyes is a total win! In my opinion this looks even better than the original! #6 - Is it just me or do these steps photographed by a redditor "bschacht10", look kind of bored? 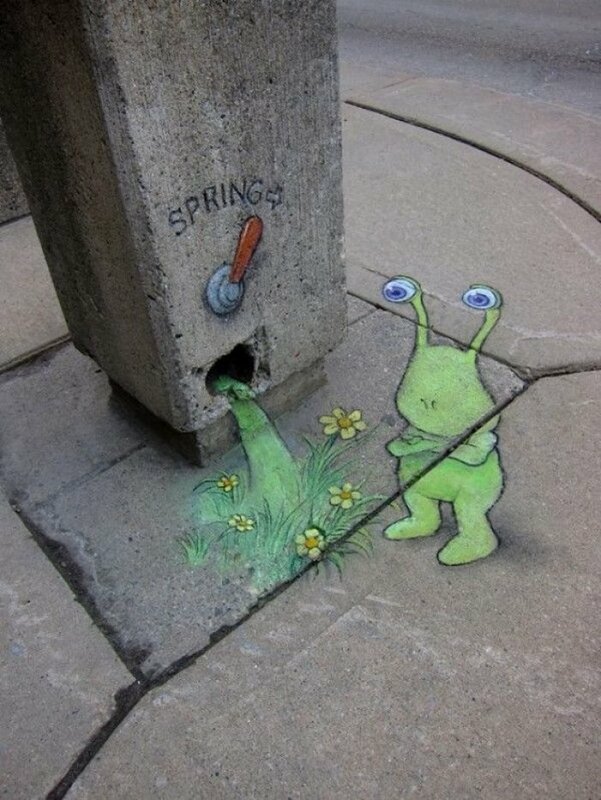 #7 - This adorable little guy just can't wait for the spring to come. Pinned by Katie Warner Waller, who, like everyone else, is obviously into some Eyebombing. Nice find and post by 'LuigiBrick' on reddit. 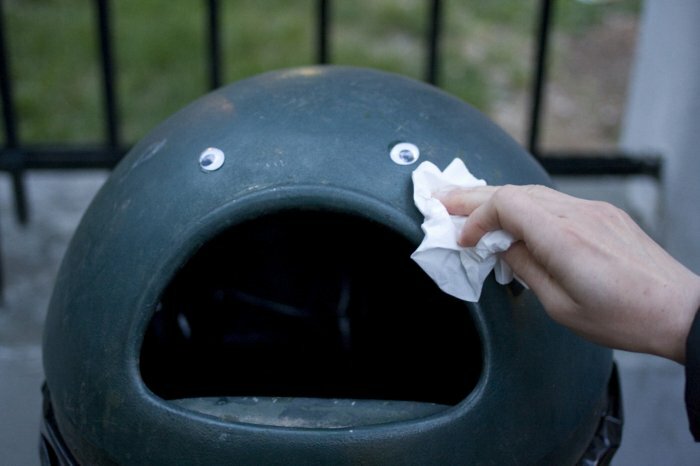 #9 - Mommy wipes your tears away little trashcan. This one was posted to Eyebombing.com, an entire website dedicated for the cause. Do you still question the existence of this phenomenon? If you do, please continue reading. 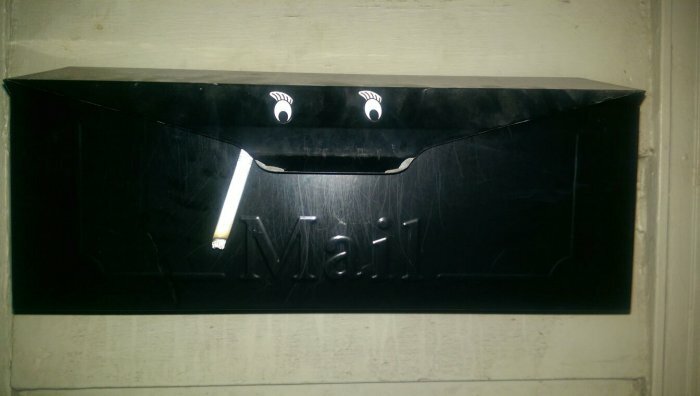 #10 - "NoxaVicis" from reddit thinks that giant googly eyes are the best birthday present he has ever received - we have to agree! The towel tongue is just hilarious. Congratulations and good job "NoxaVicis". 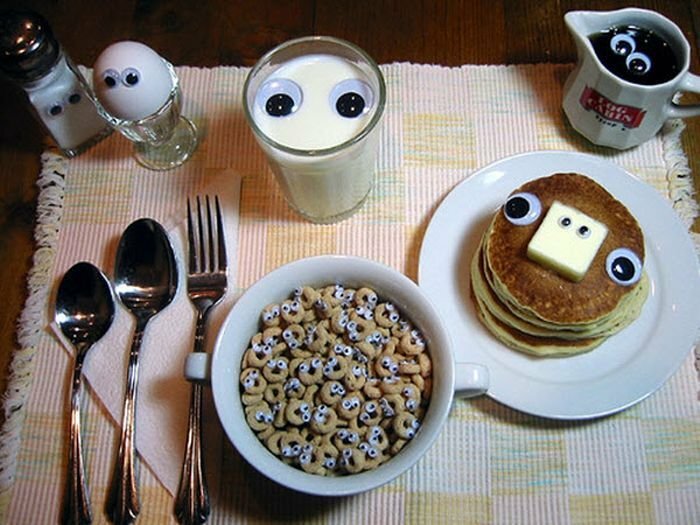 #11 - If you are not yet convinced that googly eyes are the best invention ever, you should know that they are even useful for dieting! Or would you eat something that looks at you? 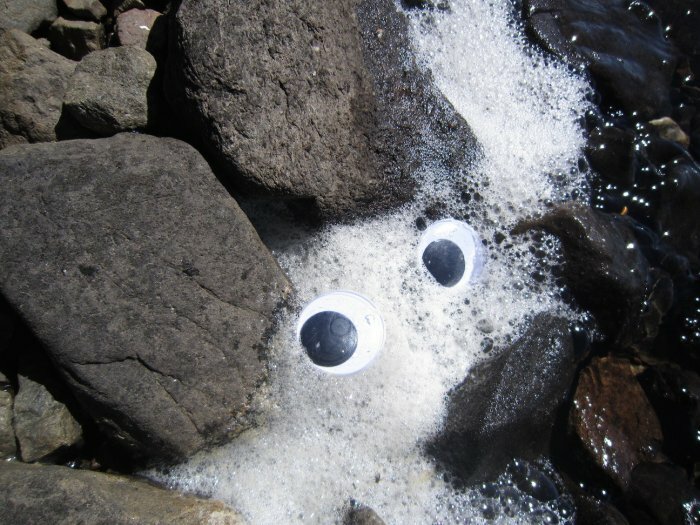 #12 - With this shot, "fishbowlman" from Reddit proved that you can use googly eyes just about anywhere. You don't even need a solid surface. 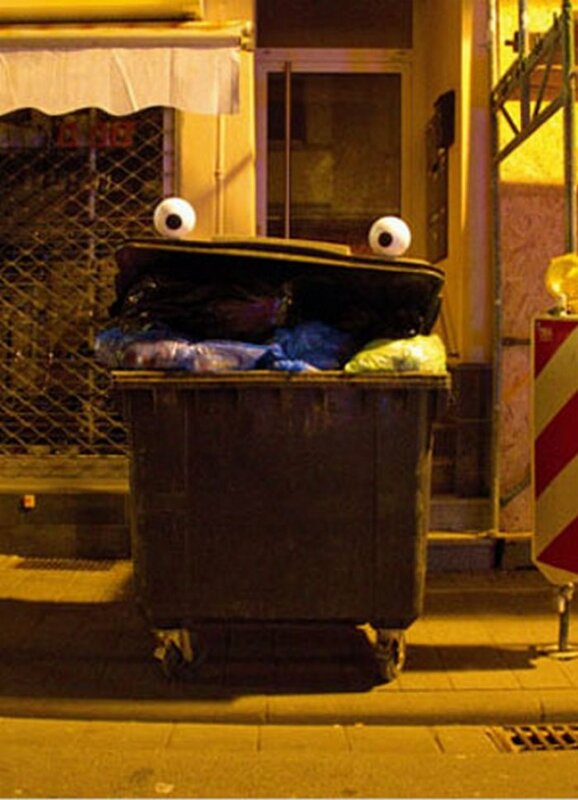 #13 - This classic example of great Eyebombing work found from the collegehumor.com website, goes to show just how amazing things you can do with only a set of googly eyes. Even without the cookie, this is just perfect. 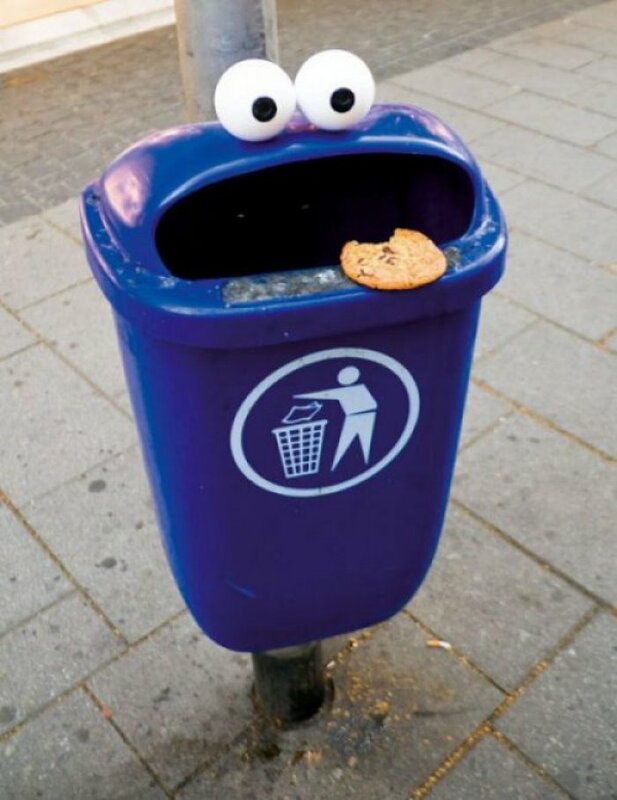 The trashcan has the exact color of the cookie monster's fur from the Sesame Street. #14 - Eyewash Station Inside! And what about his great mustache? "bschacht10" on reddit sure knows how to EYEbomb. #15 - Smoking is a bad habit. You should stop it no matter if you have googly eyes or not! Judging by the username "king_dirty" who posted this on Reddit, i think smoking is no problem for him. 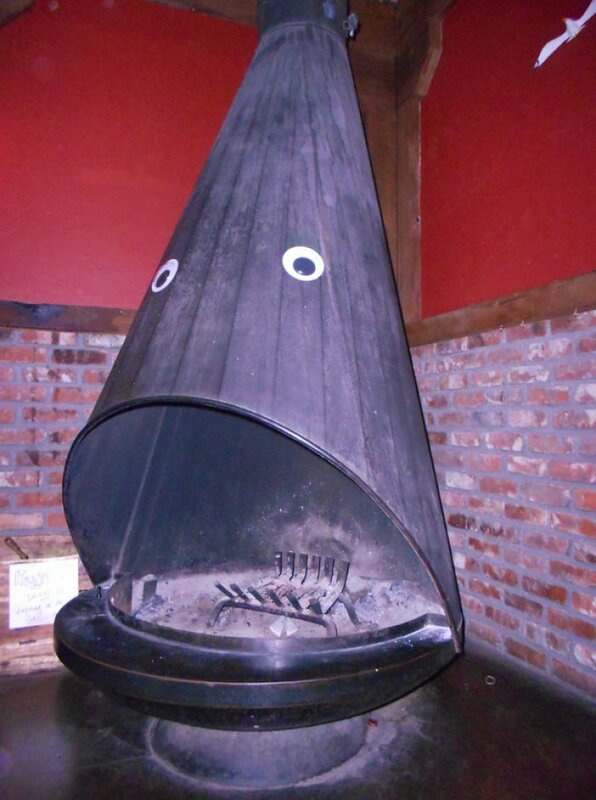 #16 - This chimney is located in a pub and it looks like being hungry for some barbecue! My absolute favorite from "fishbowlman" on Reddit. 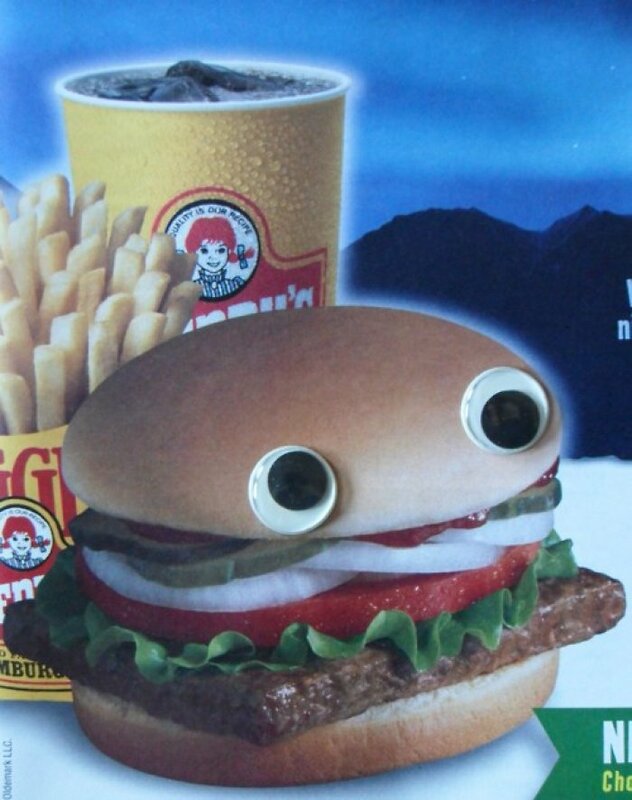 #17 - The "welovegooglyeyes" tumbler account is a great Eyebombing source, as can see from this Wendy's bomb. Not so sure if those eyes enhance the taste. 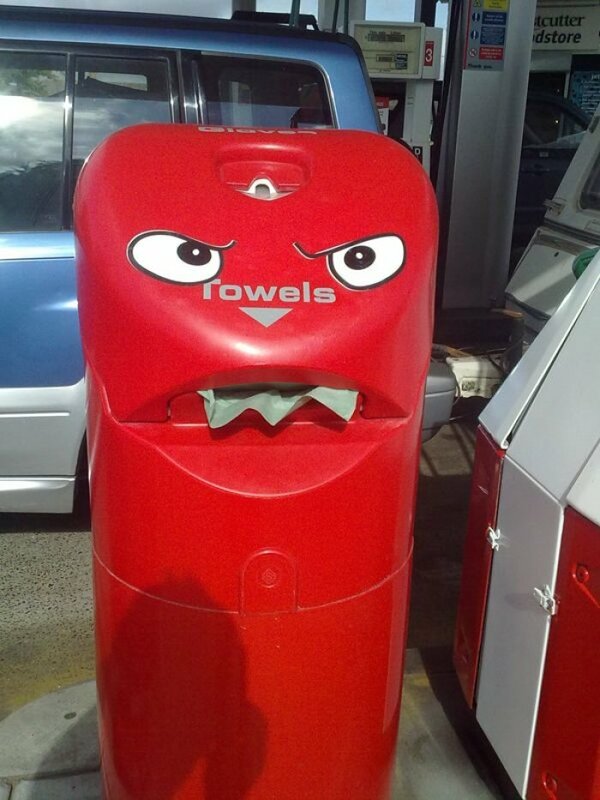 #18 - Now I'm scared - this container really looks like its out for more than just trash! 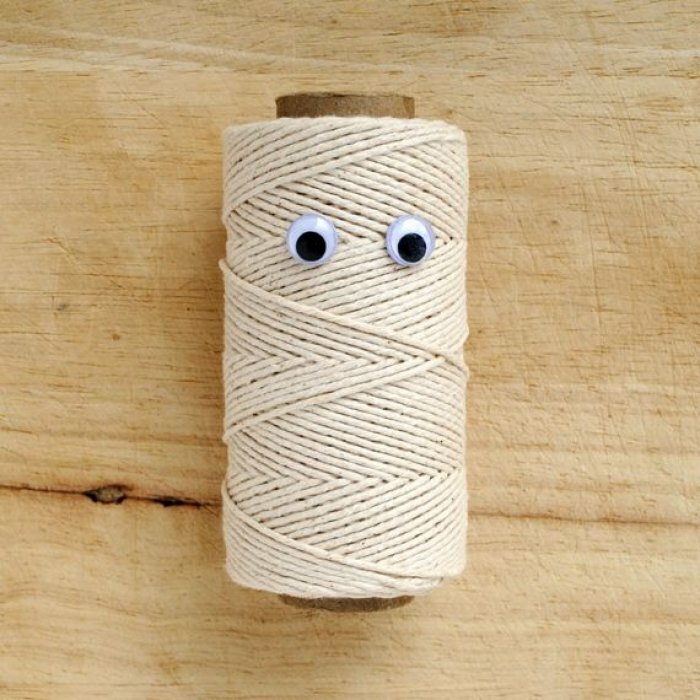 #19 - Its amazing how by just adding the googly eyes even a roll of string can have a 'facial' expression. 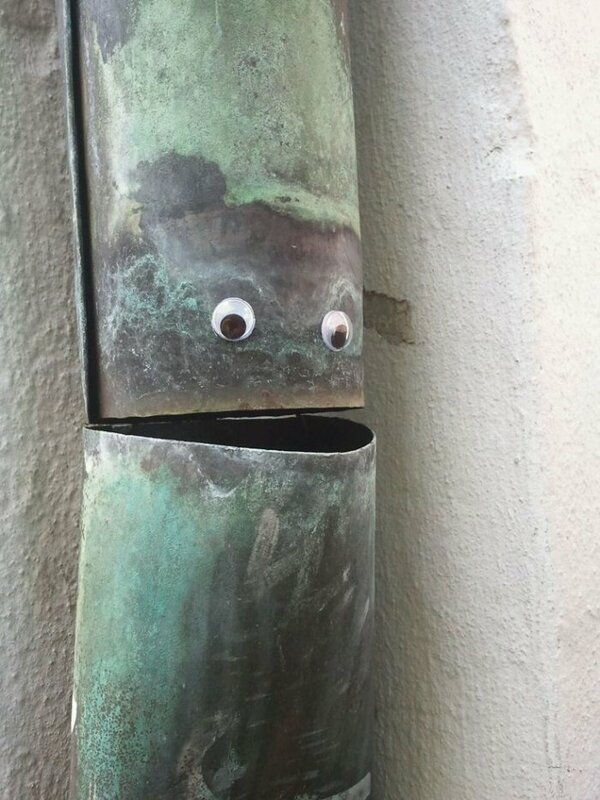 #20 - You can bring literally anything alive by placing a set of googly eyes on it - even this old broken gutter. 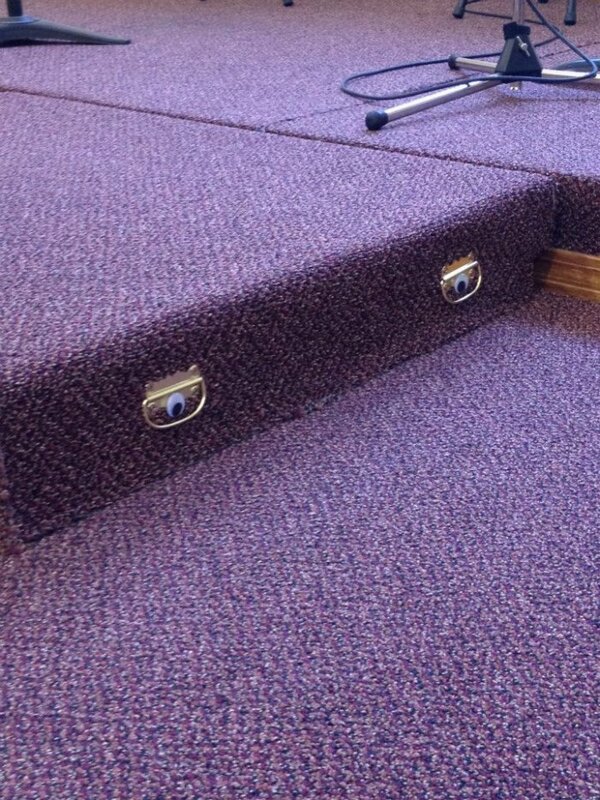 I have seen a few Eyebombed gutters like this myself and hilariousity has ensued shortly after. #21 - Here comes the Towel Monster! An installation by "Filthy Luker" called "Art Attacks". This one took a bit more than the regular set of googlyeyes.